When we talk about Arduino, the Arduino IDE, and coding, there are a lot of words being thrown around. This section will clear all of those up and get you ready to start building! The Arduino is a electronics prototyping platform. That means it's a flexible platform for building, testing, and, of course, prototyping electronics. That could be simple LEDs that light up at night, or advanced robots. When we talk about the Arduino we are talking about the physical board itself. The one that comes in this kit is red, but they come in many different shapes and colors. The Arduino brand and original board were created by arduino.cc and you can read more about the details of its history here. The Arduino IDE, or Integrated Development Environment, is not hardware, but a piece of software. If you wanted to write an essay, you might use Microsoft Word or Google Docs. If you wanted to edit pictures, you'd probably use Photoshop or Paint.net. 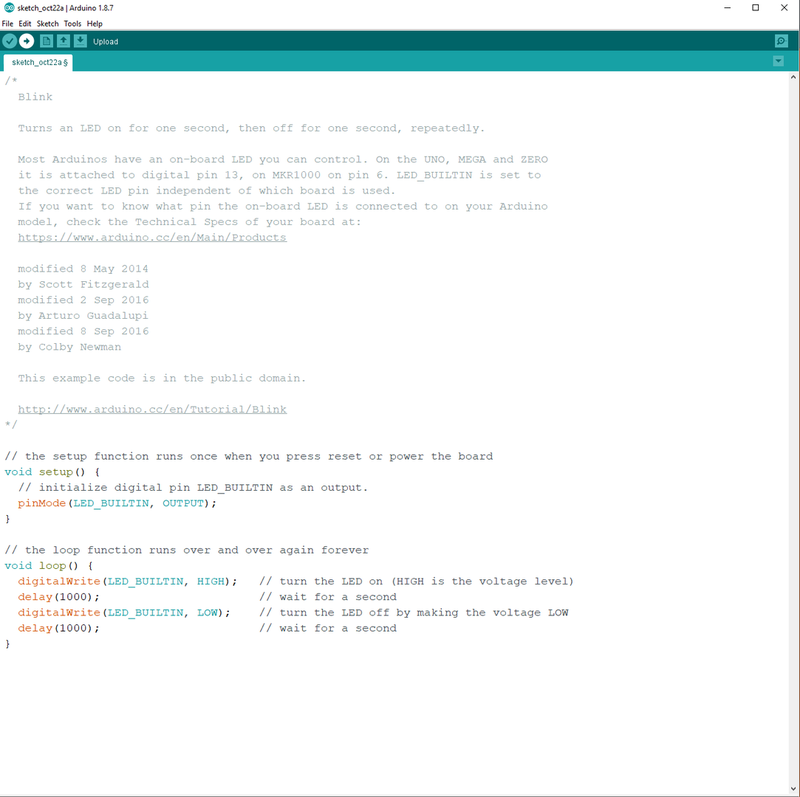 If you want to program code for the Arduino, you'd use the Arduino IDE. Its a computer program (tool) that let's you develop and test out code. Once written, the code can be upload to the physical Arduino where it will stay until you upload new code. 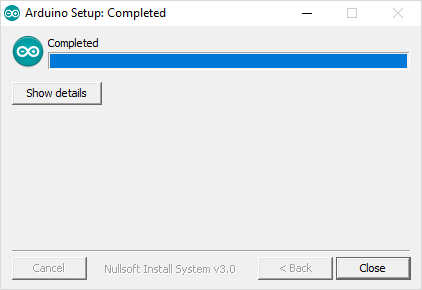 Since it is a program, you'll need to install it. 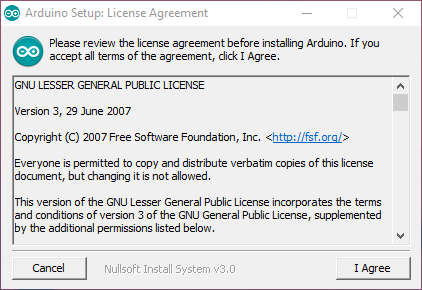 After following each link, press the Just Download button to begin downloading the Arduino IDE. 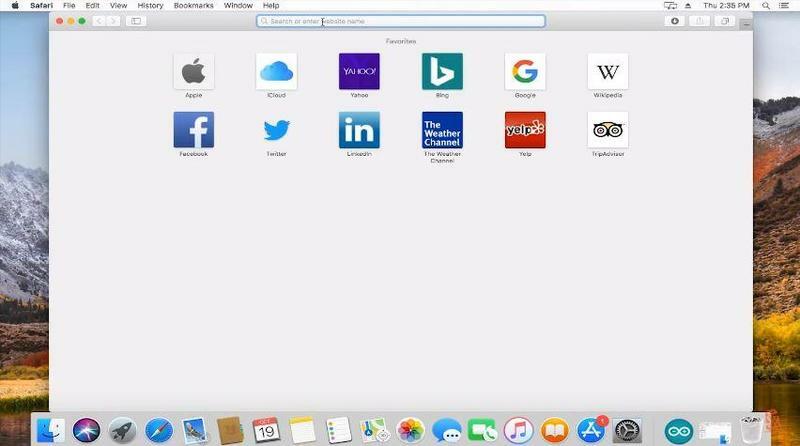 The Mac version has a few more steps and we have a video just for that. Open the executeable file you downloaded. You'll see a screen asking you to agree to their license. You can press I Agree. Next up are the installation options. 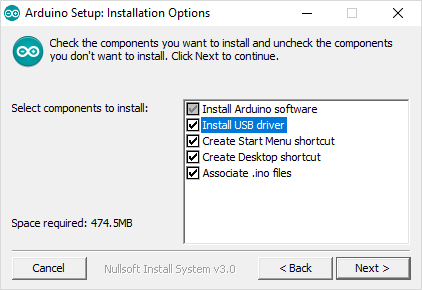 The Install USB Drivers lets the Arduino board communicate with the IDE. We definitely want this. 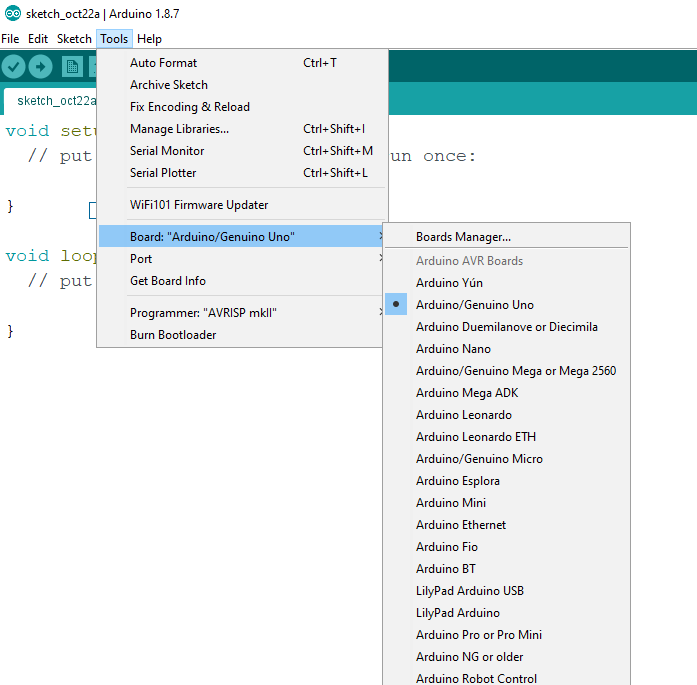 The Associate .ino files makes any Arduino file on your computer open up to the Arduino IDE. Very helpful, so we'll keep that too. Press Next >. 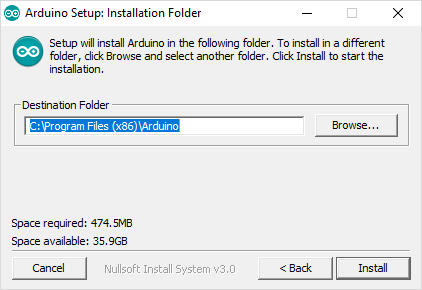 Now you are being asked where you'd like the Arduino IDE program installed. 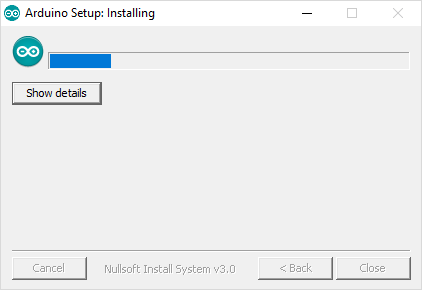 I don't mind it in the standard Program Files so I just press Install. You can change where it will be installed, just remember what you chose. I recommend not changing it. Now the IDE is installing. Once completed proceed to the next section. Open up the Arduino IDE for the first time. So, let's figure out what's what. This is a simple Arduino Sketch. 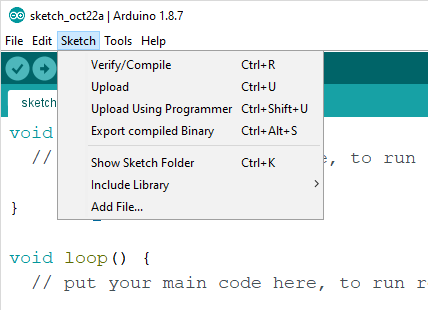 A Sketch is code you write that will later be uploaded to the Arduino board. 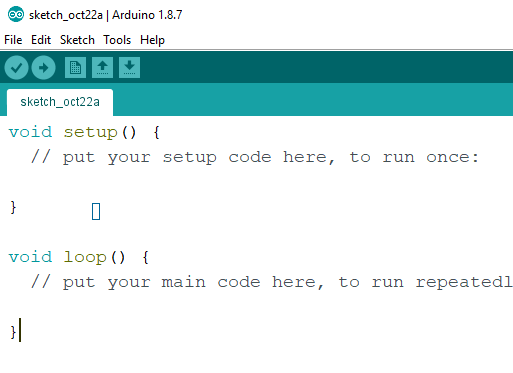 There are few steps to go from code written in a sketch to code that runs on the Arduino board. Those are Verify > Compile > Upload. All of these you can get to by going under Sketch on the top bar of the program. Or using the Checkmark and Arrow icons right below that. The Checkmark verifies your code will compile, and the arrow button uploads the code to the Arduino. Verify - looks at your code and makes sure it can actually run. It checks that there are no errors or things out of place. If your code will work, it goes to the Compile stage. Compile - The code you've written is great for human. It is readable and hopefully understandable. But this isn't great for a machine ie the Arduino. The Compile stage takes your written code and translates into something that the Arduino can understand and run, called machine code. It saves that compiled file and tried to Upload it to the board. 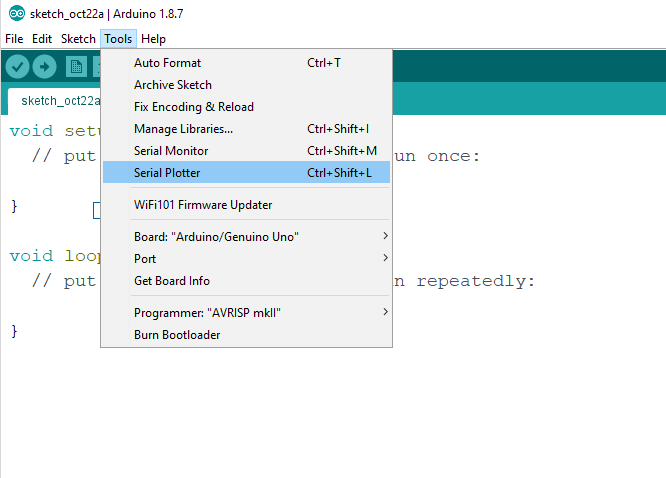 Upload - This takes the compiled files and tries to send it to a plugged in Arduino. The IDE doesn't know where you've plugged in your Arduino or what kind it is. You have to tell it. I'll show you how to set that up in the next section. For this section, make sure your Arduino Board that came with your kit is plugged in. Use the included micro USB cable to plug your Arduino into any free USB port on you computer. 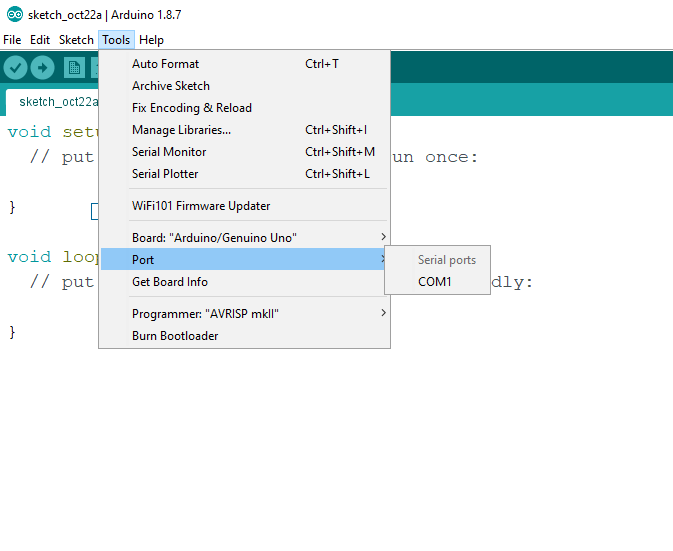 Navigate to the Tools section at the top of the Arduino IDE. You'll be greeted with a scary drop down. To setup your Arduino to accept uploads, do the following: Go to Board: and make sure Arduino/Genuino Uno is selected. Next is the Port. For Mac users refer to the video for these instructions. With your Arduino plugged in, you'll see some options. Mine says COM 15. This is the channel that the IDE will use to communicate with your Arduino. If you have a lot of COM # devices and don't know which is your Arduino, unplug your Arduino and take note of that numbers are there. Then plug it back in. Whichever is the new one in the list is your Arduino. Select that port. With the board and port selected and ready to go, let's upload our first sketch. We are going to upload a simple sketch to make an LED on the board blink. Head to File > Examples > Basics > Blink . You should see this sketch. Don't worry about the coding for now. Let's upload this sketch. You can press the Arrow icon, go to Sketch then Upload, or you can use the shortcut Ctrl+U in order to upload the code. Your sketch will auto-verify, compile, then upload to your Arduino board. You will see the message Done uploading and your board should now have a blinking light. These instructions are very important for getting OUR code to work for YOU. We provide example code for all our projects. To use those you'll need to copy them from our website. Then, go into the Arduino IDE, File > New. It's best to then delete all the code already there in the sketch before you paste our code in, as that will avoid any errors from copying over the old code. You'll be asked to use the Serial Plotter on some projects. 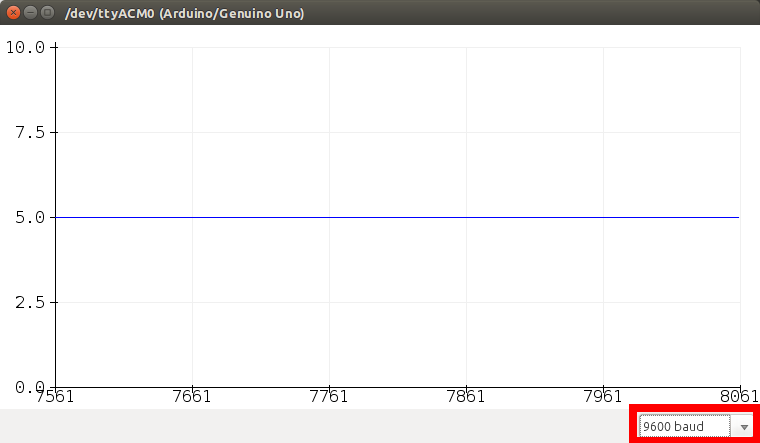 This reads any information coming from the Arduino and displays it on a graph. It can only be accessed after you've uploaded your code. It is in the Tools menu. Once opened, make sure the Baud rate is set to 9600. The most common issues are solved by double checking your Board and Port settings.